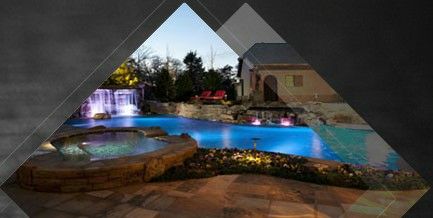 The PAR56 Pool Light We plan to introduce is in glass material body, and using SMD LED as light source, which can offer single color(warm white, white, red, green,blue), and RGB with remote versions. They are designed and widely used to replace tranditional halogen 300W PAR56 Pool Lamp as their size is the same, but LED PAR56 Pool Lamp can offer Multi-color effect, and energy saving which an help you save eletricity bill. 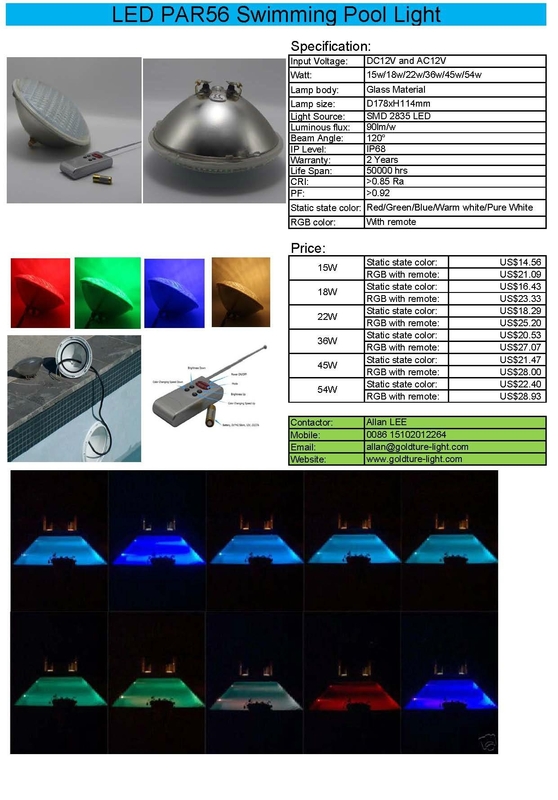 Our PAR 56 Pool Lamp can be used in AC12V and DC12V, but there are some differences as below. 1). If you plan to install several pieces RGB lamps in the same pool,and controlled by remote, we suggest you choosing AC transformer, because it can make lamps Synchronous, DC transformer cannot do that. 2). If you only buy ONE piece RGB or RGBW lamp, or several pieces lamps in static state color(Warm White, Cold White, Blue, Green, ect), you can buy DC transformer transformer as it is cheaper. 3). If you plan to connect External RGB or RGBW controller to control your RGB or RGBW lamps, you MUST choose DC transformer, because the external controller requires DC voltage input. 4). And we also sell Poolhousing(niche), can be for liner pool and concrete pool.